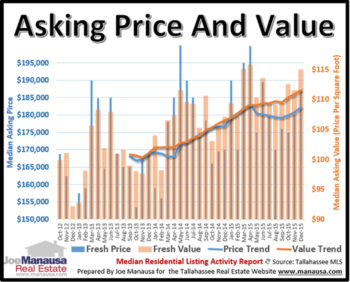 We often evaluate the different price ranges of homes that have sold in Tallahassee, and it is a good way to see how various segments of the overall market are performing. But with home prices rising over time, we see the market move to new price ranges and our reports have to be adjusted. This is one reason that we also like to report on the median home price in Tallahassee, as it measures the middle of the market and is thus always relevant. 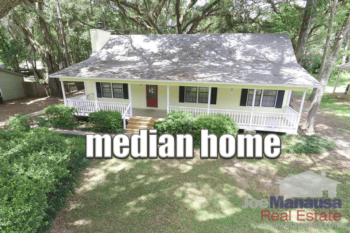 Recently, I discovered a new analysis tool that lets me take the median home price evaluation to the next level, and it clearly shows the change in what people are paying for homes in Tallahassee. First of all, what is a quartile? Wikipedia tells us that a quartile is "a type of quantile. The first quartile is defined as the middle number between the smallest number and the median of the data set. The second quartile is the median of the data. The third quartile is the middle value between the median and the highest value of the data set." How Do We Use A Quartile To Evaluate Home Sales? Watching how each of these segments change over time gives you a great understanding of what people are paying for homes today compared with what was paid over the past thirty years. The following graph breaks down the market each year from 1991 through the first quarter of 2019 by quartile. Q1 - The First Quartile - The bottom 25% of the market paid this much money or less each year. In 1991 the first quartile fell below $51,625 but exploded to $135,000 by 2006. After the housing market crashed, the first quartile dropped as low as $83,925 before recovering to $119,900 today for a compounded growth rate of 3.06%. Q2 - The Second Quartile - The second quartile, also known as the median or middle of the market, has undergone a similar transformation. The median home price in 1991 was $68,500 while today it has reached $190,000, a compounded growth rate of 3.71%. My first conclusion from pulling this report is that the higher end of the market is pushing higher at a faster rate than is the lower end, which I think is probably good. This suggests that affordable homes are becoming less affordable at a slower rate than are luxury homes. Another thought that hits me is that I believe this shows the reason why real estate is such a good investment if you give it time. Using the median home as an example, a home that you paid $68,500 for in 1991 is likely worth $190,000 today and should bring $527,000 in 2047. All you have to do is leverage median-priced homes and renting them out and thirty years later you should be fine. 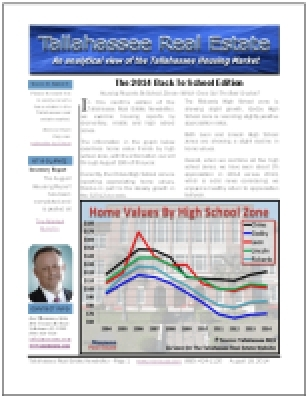 Other conclusions - This is the first time I've produced a quartile report for home sales in Tallahassee. If you have any thoughts or conclusions, I would love to hear them. All you have to do is leave a comment below or drop us a note and share your observations or questions. Would like to make a move in 2019? Why not put the best team to work for you and your family? Here's what people are saying about working with Joe Manausa Real Estate, you can see thousands of real customer reviews reported on Google, Facebook and Zillow right here: http://www.manausa.com/testimonials.